Haiti is still there. Shattered, starving and suffering, the Haitian people endure despite the media’s most recent retreat in coverage. And slowly, a rebuilt nation is rising from the rubble. During the next ten weeks, members of the Huffington Post Citizen Reporting unit will chronicle these efforts on this blog. The team includes relief workers both on the ground in Haiti, members of international support teams like UNICEF and Oxfam as well as supporters dispatching help from their hometowns across the country. It was ten weeks ago to the day that a 7.0 magnitude earthquake claimed the lives of an estimated 200,000 people in the Caribbean nation. In the days following the initial quake — aftershocks continued for weeks — over a million people were left homeless and hundreds of thousands needed medical treatment. During those days, stories of tragedy and heroism in Haiti blanketed cable news coverage and newspaper front pages. Celebrity anchors like Sanjay Gupta and Anderson Cooper rushed to Port-au-Prince to dive into recovery efforts. At one point, the latter even stole the stage by pulling a blood-covered child out of harm’s way while filming on location. But as Cooper himself feared, the cameras retreated and the reporters returned home. Many journalists moved on to fresher topics. The situation in Haiti is dire. People should be under no illusions that the crisis is over. 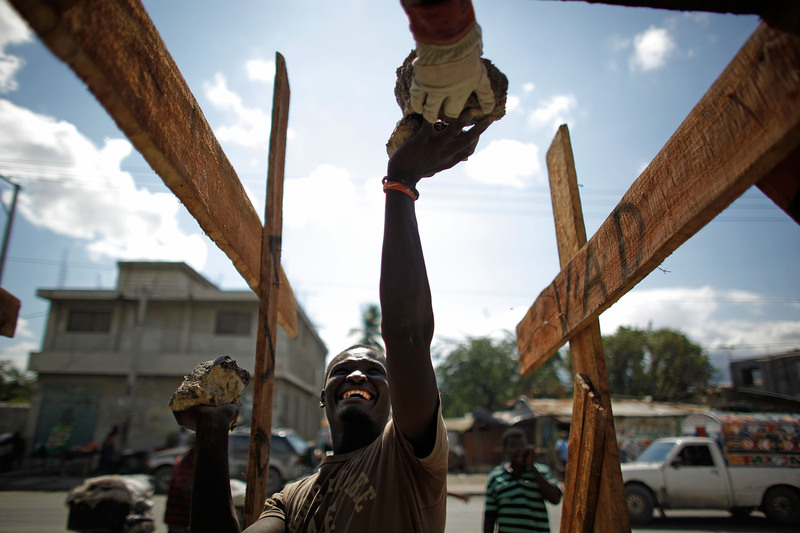 Many Haitians are still in need — desperate need in some cases — of shelter and food and medicine. And with the spring rains approaching those needs will only grow. The challenge now is to prevent a second disaster. Late last week, one of those spring rains hit and flash floods swept away screaming residents of at least one tent city. More than 1.3 million Haitians remain displaced and in the path of nature’s fury in the immediate future. Based on reports by Huffington Post citizen reporters, horrifying stories like this are too ubiquitous to ignore. Though the media has left the island, these relief workers will be sending back daily dispatches from the ground. Those who have been to Haiti since the quake will also blog about the general recovery effort and offer reflections on how the process could be improved and how the rest of the world can help. It’s now been two months since the Haitian government called off the official search for survivors. But those who did survive will remain in danger for weeks and months to come. If you’re in Haiti, have been, or will go, send us tips and ground reports. If you’re a blogger and would like to join the team, sign up below.